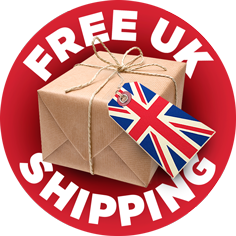 Natureinks recommend Xlayer CD media range for it's reliability and compatibility. Less burn error compare to other brands. With our Mediarange CD-R media in vinyl look, you will receive a disc in a classic record design. The disc is a retro look both at the top, and the writeable side completely black. The surface resembles a phonograph record and revives the old times. With the printable surface, you can design the discs however you want! 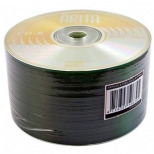 Bulk purchase for 600 pieces Arita Gold CD-R 52x 700MB. 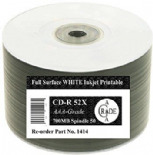 Bulk purchase for 600 pieces Fortis Full Face White Inkjet Printable CD-R 52x 700MB. 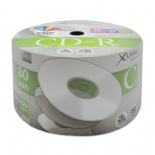 Bulk purchase for 600 pieces Traxdata Full Face White Inkjet Printable CD-R 52x 700MB.